The key to a secure and healthy PC is being able to effectively monitor event logs.Use our pro-level software to quickly browse, find and report on problems, security warnings and all other events that are generated within Windows. 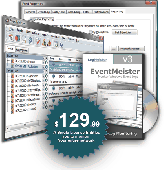 Network Event Viewer enables system administrators to manage, view, sort and search multiple Windows XP/2000/NT event log files simultaneously. Event Log Janitor Emails Event Logs at predefined Intervals (in hours) that you specify and you can optionally clear them. Lepide Event Log Manager empowers IT administrators with centralized and effective management of Windows and W3C event logs. Lepide Event Log Manager empowers IT administrators with centralized and effective management of Windows and W3C Event Logs. 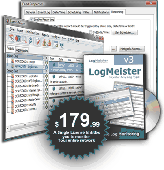 The tool makes windows Event log management hassle free, simple, and fast by eliminating the need of moving from computer to computer for log management. ManageEngine EventLog Analyzer is a web-based, agent-less syslog and event log management solution that collects, archives, and reports on event logs from distributed Windows host and, syslogs from UNIX hosts, Routers and Switches. WDumpEvt is an administration tool that makes it easy to view and manage all the informations from Windows NT/2000 logs:Ask for system, security, application log or file information.